A moon garden’s night blooming flowers emit a wonderful fragrance for our own enjoyment, and the foliage is also beautiful to observe in the silvery glow of the moonlight. We share appreciation for the beauty of the moon garden with feeding moths and other insects that in turn attract feeding bats. Plant your moon garden near a window so the evening breeze will carry the fragrance indoors. A bench for evening observation is a wonderful way to enjoy the aromatic flowers and magical surroundings. Native trees with blooms that are fragrant in the evenings are basswood (Tilia americana) & fringe tree (Chionanthus virginicus). Fringe tree fragrance is reminiscent of cotton candy. Virginia willow (Itea virginica) and yucca (Yucca filamentosa) are low growing shrubs with fragrant evening flowers. 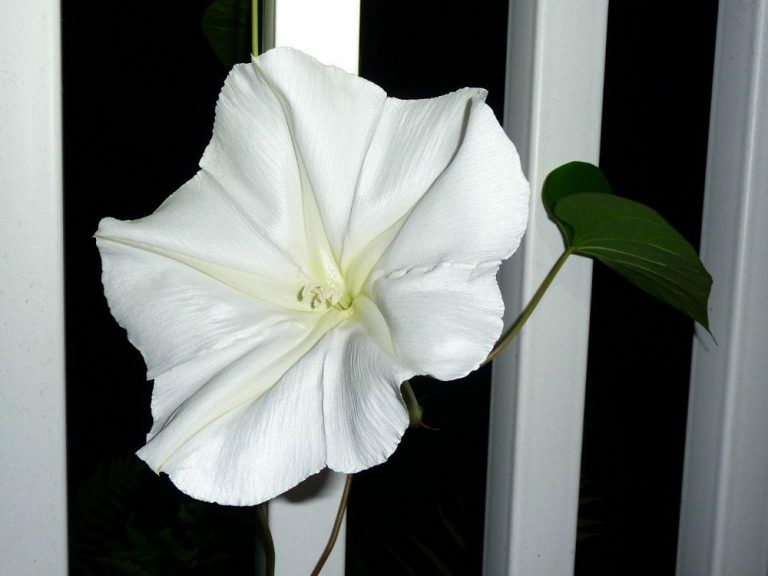 Moonflower (Ipomoea alba) is a vine with large white flowers that release an evening fragrance. Night blooming ruellia (Ruellia noctiflora) and cutleaf evening primrose (Oenothera laciniata) are low growing, fragrant, evening blooming flowers. Night blooming flowers use their light reflecting properties and fragrance to attract insects for pollination. They are therefore white, or light in color, in order to reflect the moonlight and advertise their beauty to passing moths and other insects. Sphinx moths are the primary pollinators of night blooming flowers. The insects that are attracted to your moon garden will in turn attract bats that can eat their own weight in insects each evening. Bats are a wonderful means of insect control and a wonder to watch as well. All of the bats in our area are insectivores and much of their food supply has been diminished by pesticide use. Contrary to popular belief bats will not fly into your hair and in fact in flight they can maneuver around objects as fine as a human hair. Fragrant flowers are important in a moon garden, but planting other natives with contrasting foliage in and around the night blooming flowers is another consideration. Contrasting textures of foliage can create a glowing appearance when reflecting moonlight. Natives such as Adam’s needle (Yucca filamentosa) and button snakeroot (Eryngium yuccifolium) have interesting sword shaped foliage and tall flower stalks, and the Adam’s needle’s white bell shaped flowers are fragrant at night. 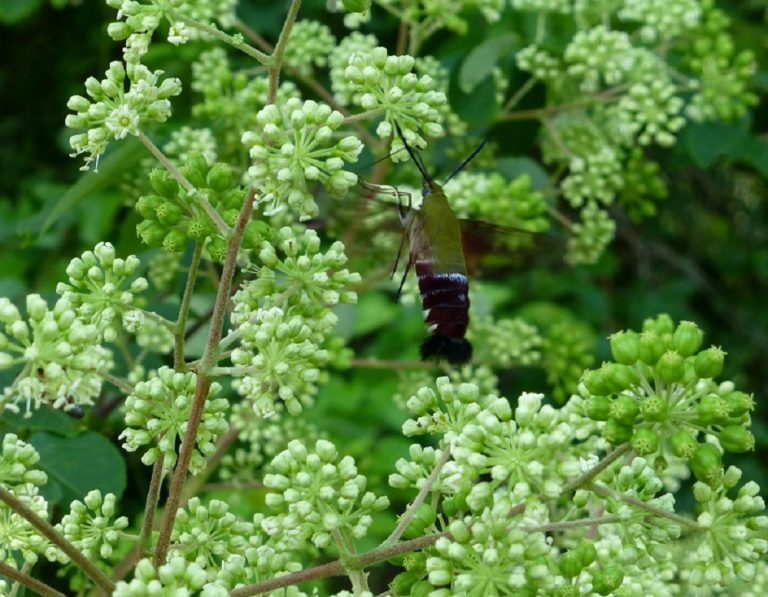 The button snakeroot has small, white, globe shaped flowers. 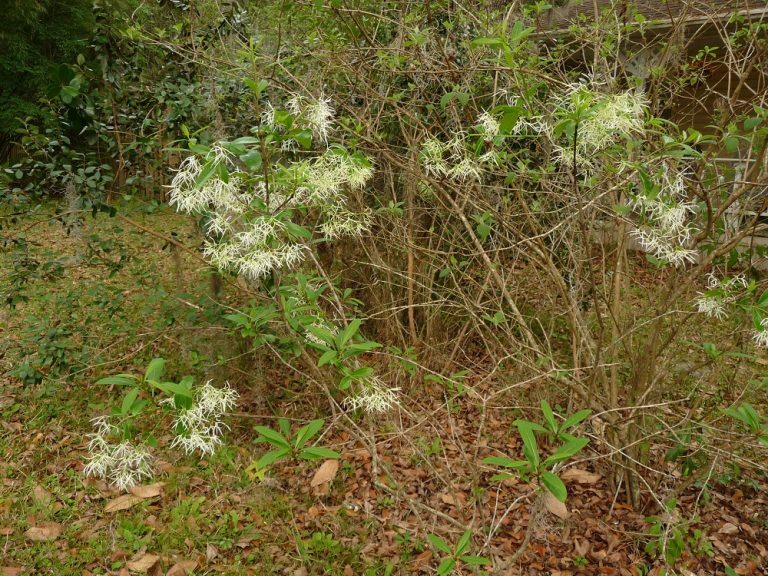 Not only will the beautiful, white, shaggy flowers of the fringe tree (Chionanthus virginicus) add fragrance, but they will also provide another texture element. The bent, gnarled trunk of a sparkleberry (Vaccinium arboreum), the fine foliage of false rosemary (Conradina canescens), or the purple flowers and leaf bracts of dotted horsemint (Monarda punctata) all contribute other interesting textures. Placing a few rocks in and around the moon garden adds a completely different texture element and also light reflecting surfaces. Be creative and experiment – your reward will be a beautiful new dimension to your landscape. Fringe Tree (Chionanthus virginicus) is a deciduous tree reaching about 30 feet in height. The white drooping flowers appear in the spring. It is found in hardwood hammocks and savannahs. It grows in full sun to part shade with average moisture. 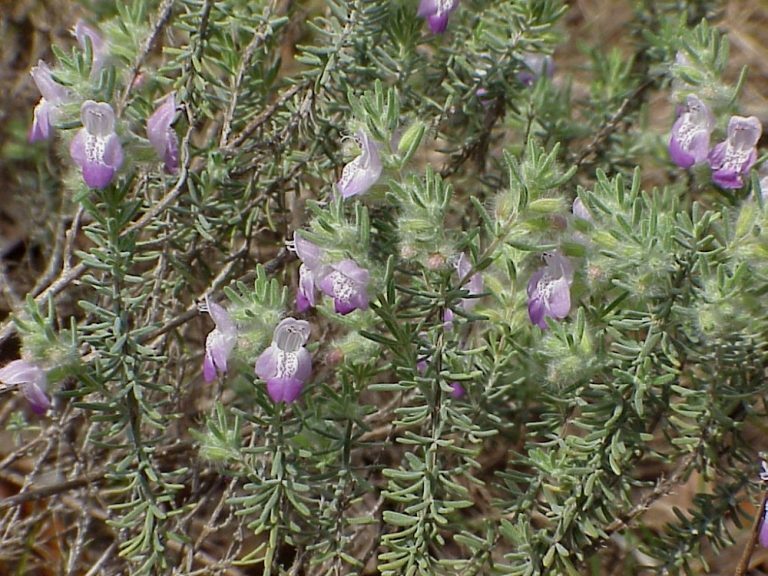 False Rosemary (Conradina canescens) is a small shrub that is very aromatic and the small pale purple flowers that appear in the spring & summer provide nectar for insects. Most species of false rosemary are found in dry pinelands and scrub. It grows in full sun to part shade with average moisture. 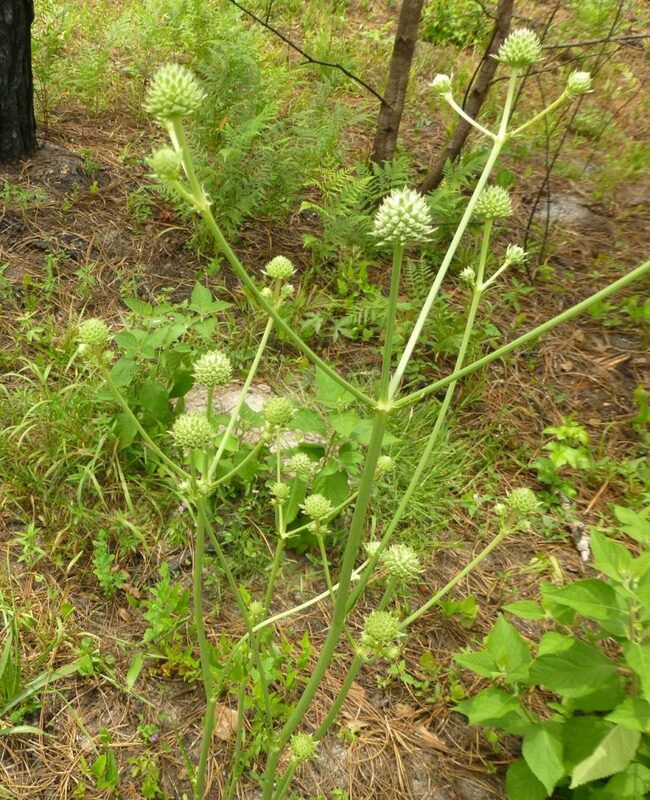 Button Snakeroot (Eryngium yuccifolium)Is a perennial wildflower reaching 3 feet high at maturity. 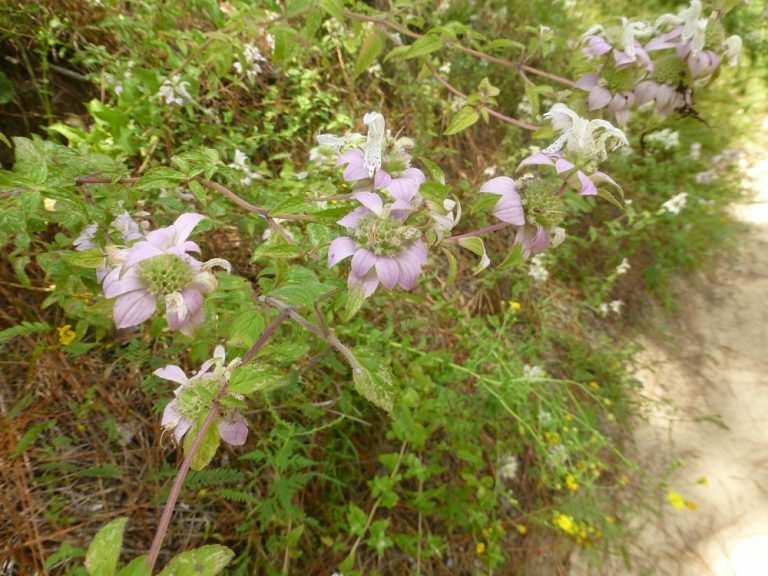 The white, globe shaped flowers appear in the spring, summer & fall. It is found in dry pinelands & open woods. It grows in full sun to part shade with average moisture. Moonflower (Ipomoea alba) is an annual morning glory that may climb and spread to 10 feet or more in length. Its large white flowers, tightly closed by day, open in the evening to release a lemony aroma. It grows in part shade with average moisture. 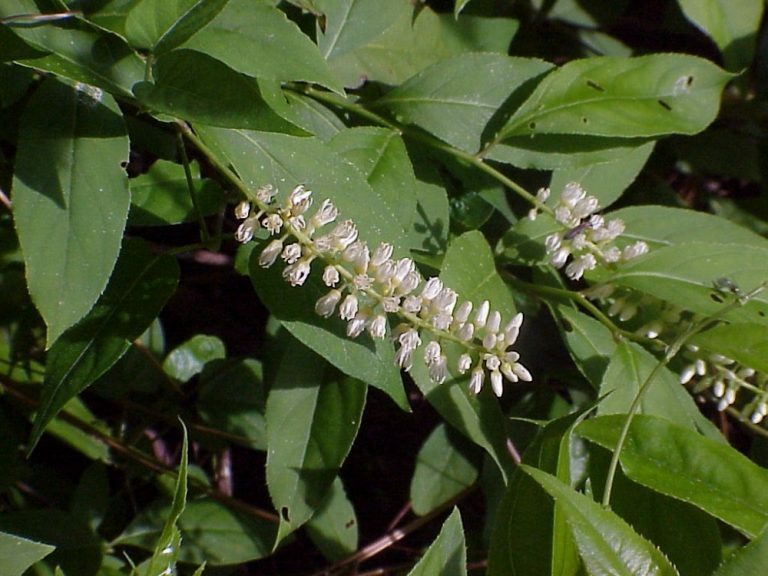 Virginia willow (Itea virginica) is a deciduous shrub reaching 6 feet in height. The small white flowers are born on elongated clusters. It grows in part shade to full sun with average to moist soils. A good nectar plant for insects. Dotted horsemint (Monarda punctata) is an aromatic perennial wildflower reaching 4 feet high at maturity. The flowers appear in late spring, summer & fall. The purple leaf bracts are much more noticeable than the flowers themselves. It is found in meadows, roadsides, floodplains, and disturbed sites. It grows in full sun to part shade with average moisture. The leaves, flowers & leaf bracts make an excellent tea. A good nectar plant for insects. Buy dotted horsemint seeds here. 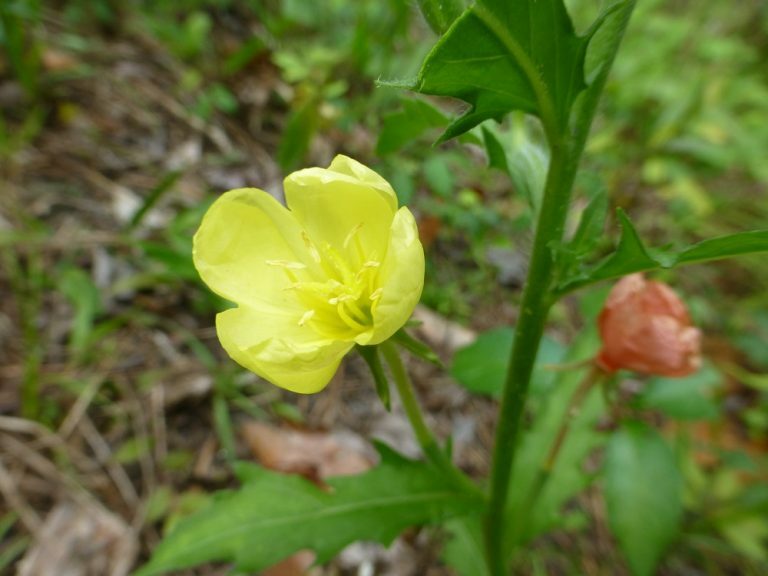 Cutleaf Evening Primrose (Oenothera laciniata) is a biennial wildflower that grows to about a foot in height – tending to grow out rather than upwards. The yellow blooms appear in the summer and open in the evenings or cloudy days. It occurs along roadsides, disturbed ground, and lawns. It grows in full sun to part shade with average moisture. Buy cutleaf evening primrose seeds here. Night blooming wild petunia (Ruellia noctiflora) is a perennial wildflower with white flowers that open in the evening. Blooms appear in late spring & early summer. 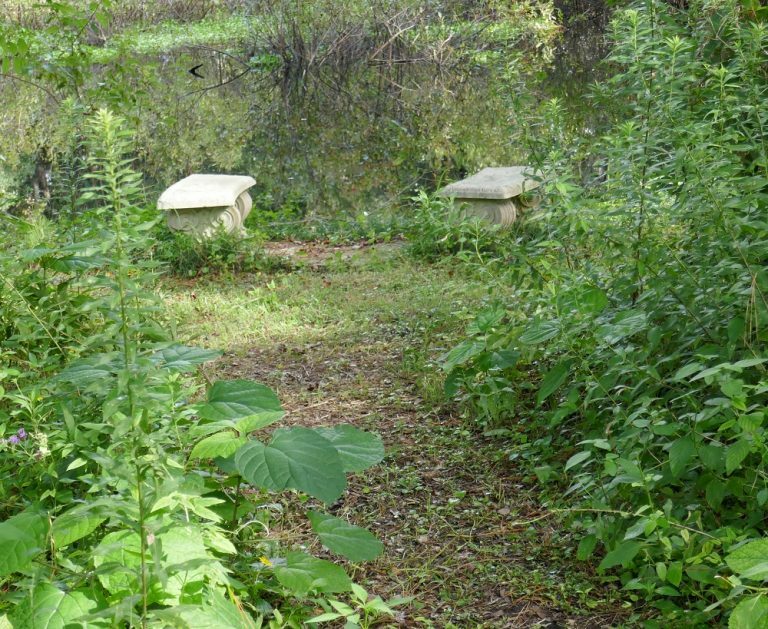 It occurs in wet flatwoods & seepage slopes of northern Florida. It grows in full sun to part shade with moist soils. It is an endangered species only found in a few northern counties. 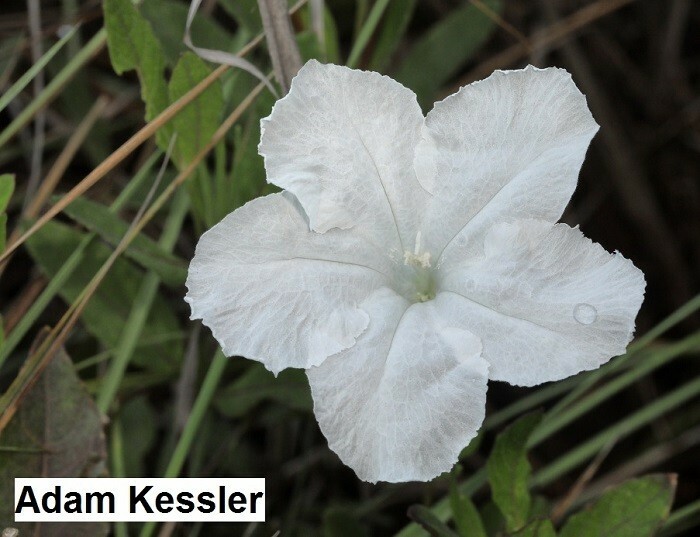 Unfortunately I have not had the pleasure of taking a photograph of this endangered wildflower, but it looks almost the same as a wild petunia except that it has white flowers instead of purple.